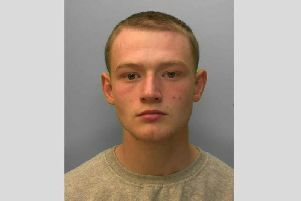 Police helicopters searched the area for a ‘gunman’ who threatened a Sompting family last night. Police said they were informed that the family had received threatening phonecalls from someone known to them who claimed to have a gun, shortly before 11.30pm on Wednesday, September 21. Armed officers attended to secure the property and ensure the safety of the family, police said. A police helicopter helped search the area for any trace of the suspect, but nothing was found, according to police.